New to the world’s fastest growing water sport craze? Use our beginner tips for stand up paddling and you’ll soon be gliding on the water like a pro. First off, take note: the best place to practice stand up paddling is out on calm water where there is less chance of you encountering boats and other obstacles. 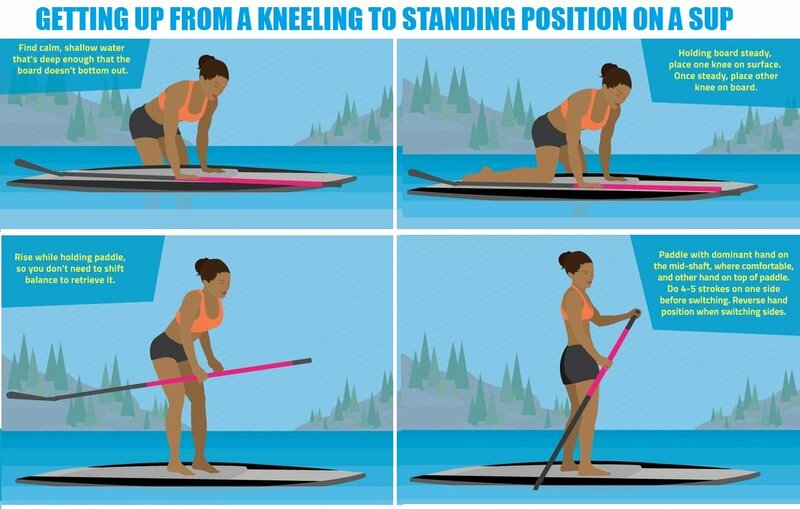 Kneeling on a SUP is the easiest position from which to start. Just as a baby has to learn to crawl before it walks, kneeling on the paddle board will help you to gain balance and get a feel for standing up. Place your SUP in shallow water. Once you’ve placed the paddle across the surface of the board and with one hand on the rail edge and the other on the paddle grip, climb onto the board in a kneeling position – at the centre where you should get a better feel for balance. 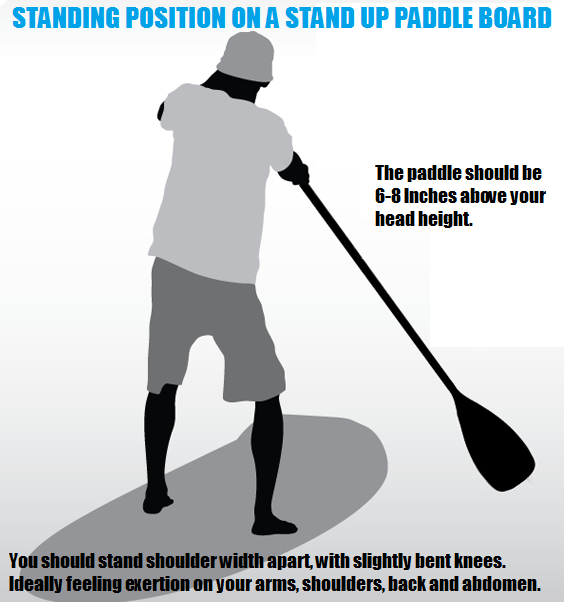 Keep steady by ensuring both hands are kept on both sides of the SUP. Once you’re comfortable and it’s become sort of second nature, attempt to stand up. One foot at a time! And make certain to ensure that your foot is on the exact same spot that your knee was on. As you stand upright you will need to keep your balance. The easiest way to get this right it to make sure that your feet are parallel, positioned between the edges of the board. Your knees should be bent and your back kept upright. Balance should come from your hips. Don’t stare at your feet, they’re going nowhere; instead look out over the horizon. 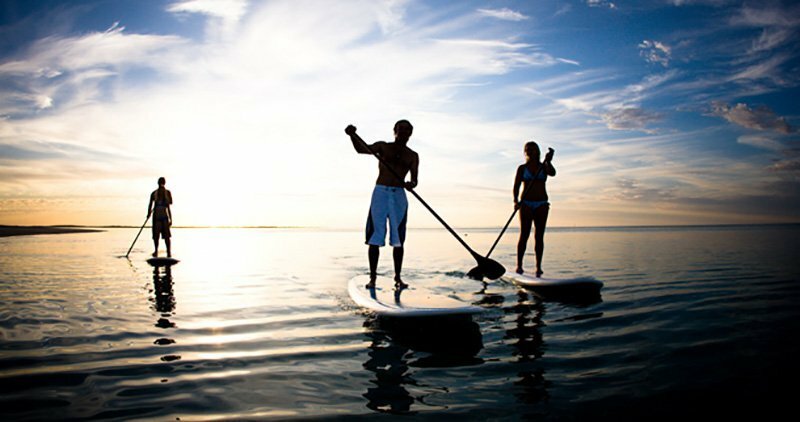 Practice balancing on the SUP in calm water until you’re ready for the next stage in your stand up paddle adventure. 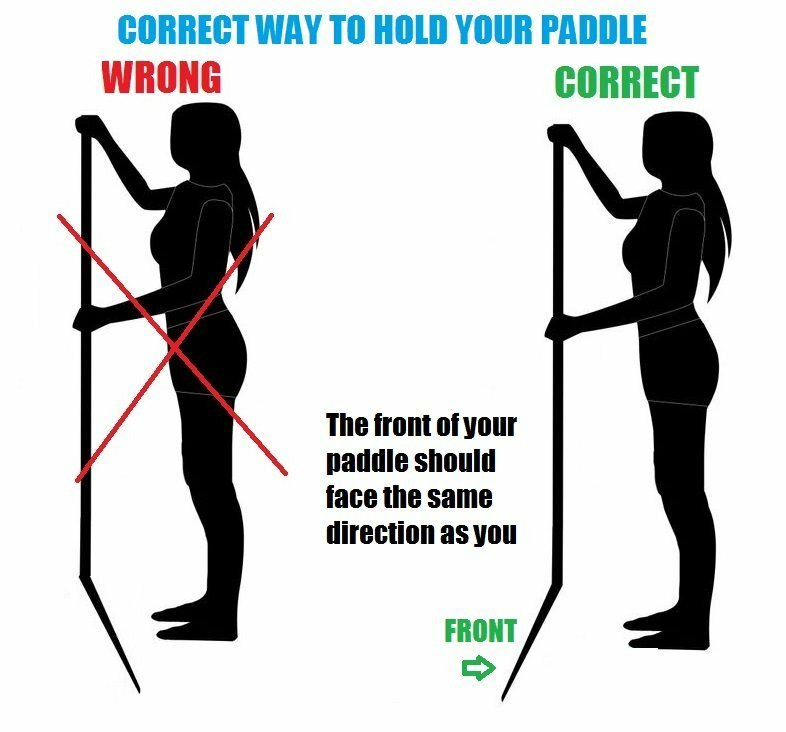 When propelling the SUP forward on the right side, place your right hand lower on the paddle shaft and your left hand holding the top of the paddle grip. Use the strength from your abdominal muscles (instead of your arms) to push forward. Use your left hand on it’s position on the paddle grip to push down (the blade should be pushed way under the water surface), draw back to ankle and then pull out of the water. Paddle in a straight line by keeping strokes short. Aim for 4 or 5 on one side before switching sides and change. There are three techniques you can use to turn a paddle board. The sidestroke: paddle on one side till the board’s nose automatically turns in the direction you are aiming for. To go right, paddle on the left and vice versa. Backpaddle: This is a faster method of changing direction. All you do is paddle backwards on both sides. Sweep stroke: Placing the paddles near to the front and using long strokes that reach towards the tail allows the board to turn in the opposite direction to the stroke. As a beginner it is only to be expected that you will fall at first as you develop SUP paddling skills. Avoid falling onto the board as this can result injury and frustration; aim rather to fall to the side and into the water. Follow and practice these beginner stand up paddle board techniques, and you’ll be manipulating the SUP like a pro in no time.